Beenigma Face Cream - Worth the HUGE Price? 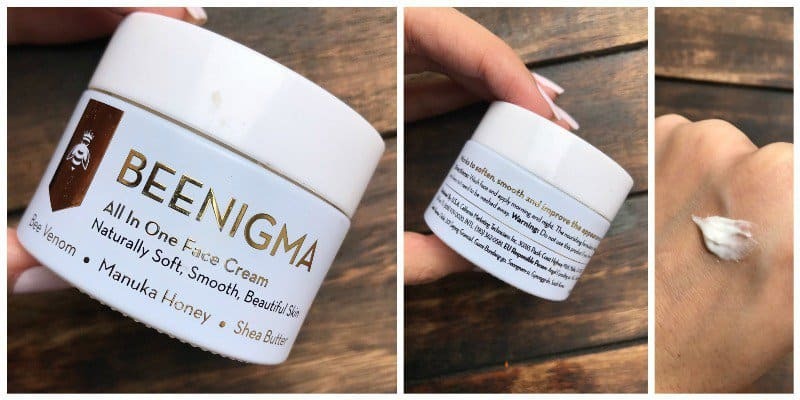 Home ReviewsBeauty Beenigma Face Cream – Worth the HUGE Price? Beenigma Face Cream – Worth the HUGE Price? My biggest grouch with the product is its packaging. It comes in a jar packaging that is extremely unhygienic esp. for the product. You have to store this very very carefully. Any exposure to damp air and the cream will go bad. This has bio actives and is extremely susceptible to getting spoilt. I lost more than half a jar of this cream to Delhi humidity and to be honest I was shocked to see a product go bad within a month. They should send it off in pump dispenser bottles for tropical and humid climates. I hate it when money gets wasted like this, don’t you! It has a slightly waxy texture. The cream is on the heavier side. Apply just enough, don’t apply in large quantities. Smells like beeswax to me. This cream takes a week to start showing effects. But apply it am and pm with other treatments i.e. sunscreen in the morning and serums at night and in a month you will feel your skin is more nourished, lines are diminished as are the pores. Actually works in improving the overall look and feel of the skin. If you live in temperate or colder climates and /or you can afford this, by all means, go ahead. It’s an excellent product no doubt, but I rather look for a replacement than spend a bomb on this again. I really like to read about the cult favourite product reviews from you.. It’s like a second hand experience..